You rely on your air conditioner every summer, and if it can’t keep up with your cooling demands your house can quickly become an uncomfortable place in which to be. 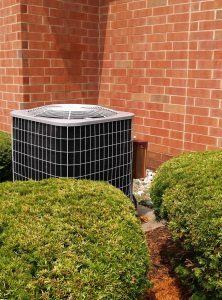 Even if your AC unit is only a few years old, it’s still good to have it maintained and serviced every year. If the unit is older than 15 or 20 years, it may be time to replace it. Whatever the situation may be, Absolute Comfort can provide the AC repair and installation you need. We’re proud to serve the Crystal Lake area! Perhaps you’re out in your backyard, enjoying a summer day, when you hear a strange noise coming from your AC unit. You quickly run inside to shut off the cooling system, but then you’re unsure what to do next. If you hear noises coming from your AC, it’s best to call a certified HVAC provider as soon as possible. Our expert team can repair your unit and replace any faulty or broken parts in no time at all. It might be a small part that’s broken, but it can cause a big issue. If your AC unit has seen better days, but you’ve been putting off replacing it, why not do it now? 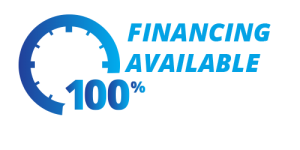 There are many new, energy-efficient models available, and our team can help you choose the perfect one for your home. We’ll gladly explain AC sizing and which option will be best for your needs, and once you’ve chosen, we’ll get to work on installing it right away. Before you know it, you’ll once again have a cool and comfortable house! 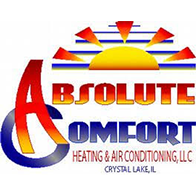 The team at Absolute Comfort is dedicated to providing the very best AC repair and installation services in Crystal Lake. When you need us, we’ll be there. Call us today at (815) 201-1144 or fill out the form below!